Why Free Antivirus for Computer is Needed? Unfortunately, following security best practices alone is not enough for combating today's sophisticated malware. These days, hackers employ so many different ways to attack your PC that employing several layers of anti malware protection is the only way to keep your PC malware-free. Therefore use Comodo Free Antivirus for Computer to safeguard your PC(s) – its best, its simple, and oh yes, its basic version is free! Using containment technology, Comodo Antivirus successfully checks unknown or unidentified files and gives them access to your PC(s) only after they prove themselves to be harmless. This proves extremely beneficial for combating zero-day malware which is the cause behind most of the security threats today. Malware attacks usually perform some changes to your PC in one way or another. Using a combination of HIPS and VirusScope, Comodo Antivirus ensures these changes are not only successfully tracked or stopped, but provides PC users the capability to undo them as well. Unknown or unidentified files, which could well prove to be a malware, are analyzed within a matter of seconds using cloud-based malware analysis, and based on the report received, these files may or may not be given the access to your PC. Simply put, this means solid protection for your PC(s). Cybersecurity threat landscape is changing pretty rapidly. We no longer live in an age where computer virus is the only security threat PC users are confronted with. Therefore to tackle these changing times and the various types of malware, you need Comodo Free Antivirus for Computer, which offers absolute protection for your PC(s). Download Comodo Free Antivirus For Computer and secure your PC(s) against different types of malware, including zero-day threats. Why Comodo Free Antivirus for Computer? Comodo antivirus, which makes use of Default Deny Approach, is the best free antivirus for computer in the security industry that protects your PC(s) effectively against the evolving malware with minimal fuss and maximum protection. It is one of those few antiviruses which offers top-notch security features like Containment, Auto-Sandboxing, HIPS, Viruscope (unique to Comodo) for free. Restricts and Restrains Unknown/Untested Files or Applications: Comodo Antivirus's Default Deny Approach materializes via 'Containment technology' which ensures all unknown files/applications are run within restricted and restrained virtual containers so that they don't affect your original PC(s). The virtual containers get affected by the attacks, not your PC. Regulates File or Application Access: Comodo Antivirus also implements what is known as 'HIPS' (Host Intrusion Prevention System) to regulate the access to certain critical system files or applications within your PC which when infected have the ability to crash your PC. For example, you get the rights to configure the rule set for running various executables within your PC. Prevents Processes Which Have Gone Rogue From Taking Action: What if you've been infected despite being protected by antivirus? Comodo Antivirus via 'Viruscope' technology ensures PC users are equipped with the capability to undo processes within your PC which might have gone rogue – that is, have become infected. Employs Secure or Protected Environments: Comodo Antivirus makes use of secured environments or environments protected against security threats – virtual desktop, secure shopping (available only with Comodo Internet Security (CIS)) – that add an additional layer of security to your PC(s), offering solid protection against different forms of security threats. 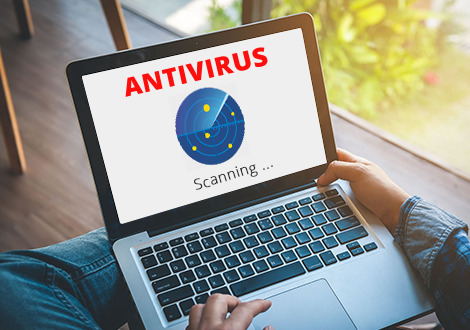 Scans Your PC(s) Even Before It Boots Up: Since many a malware infection happens during boot up process, Comodo Antivirus comes equipped with 'Rescue Disk' feature, which is responsible for running virus scans in a pre-boot environment – that is, before Window loads. Security measure which is pretty effective against not just malware attacks but zero-day threats too.